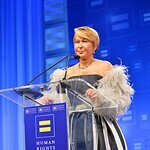 Today, the Human Rights Campaign (HRC) — the nation’s largest lesbian, gay, bisexual, transgender and queer (LGBTQ) civil rights organization — announced the organization will honor LGBTQ advocate Yeardley Smith with the HRC National Leadership Award at the 2019 HRC Los Angeles Dinner. 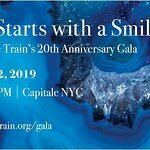 Set to take place on Saturday, March 30, 2019, at the JW Marriott L.A. LIVE, the event brings together more than 1,000 of HRC’s most active members and supporters in the greater Los Angeles area to raise crucial funds in the fight for LGBTQ equality. Yeardley Smith is an Emmy Award-winning actor and producer who has appeared on television, film, and Broadway, and has been the iconic voice of Lisa Simpson for over 30 years. A long-time, passionate supporter of the LGBTQ community, she was a leading advocate and contributor to the fight for marriage equality and was the single largest funder in the fight against California’s notorious “Proposition 8.” Following the horrific attack on Orlando’s Pulse Nightclub, Smith joined forces with other leaders in entertainment for an inspiring tribute recounting the individual stories of the 49 victims — most of whom were LGBTQ and Latinx. In the face of the Trump-Pence administrations relentless efforts to undermine and roll back the critical progress made for the LGBTQ community, Smith helped fund HRC’s unprecedented 2018 midterm efforts to mobilize voters and successfully flip the U.S. House of Representatives to a pro-equality majority. Smith has been the voice of Lisa Simpson on Fox’s hit television show The Simpsons since 1987. The show is about to start recording its 31st season. Some of Smith’s film roles include All Square, which she also produced and which went on to win the 2018 Spotlight Audience Award at SXSW, New Year’s Eve, As Good As It Gets, Stephen King’s Maximum Overdrive, City Slickers, and The Legend of Billie Jean. Television roles include The Mindy Project, The Big Bang Theory, Mom, Fresh Off the Boat, Hot In Cleveland, Mad Men, and the sitcom classic Murphy Brown.Smith also spent five years as Greg’s crabby secretary ‘Marlene’ on Dharma and Greg, and three years as ‘Louise Fitzer’ FOX network’s Herman’s Head. She wrote and performed her one-woman show, “MORE” off-Broadway in 2004, and in Los Angeles in 2005. She published her first novel, I Lorelei, through HarperCollins Children’s Books in 2009. In 2015, she co-founded the production and development company, Paperclip Ltd., for the purpose of developing stories at their earliest stages across all mediums. Paperclip is currently in production on a GLAAD-advised dramatic feature: “Gossamer Folds”, featuring LGBTQ talent both in front of and behind the camera. Yeardley currently co-hosts and co-produces the hit true-crime podcast “Small Town Dicks”, which returns for a fourth season on March 15th and is available on all major podcast platforms.